Walkability, noise, greenness and air pollution are some of the common features of the built environment that can have profound effects on human health. Please join us for this fascinating symposium on urban environmental health research in Canada and around the world, presented by five internationally recognized experts. 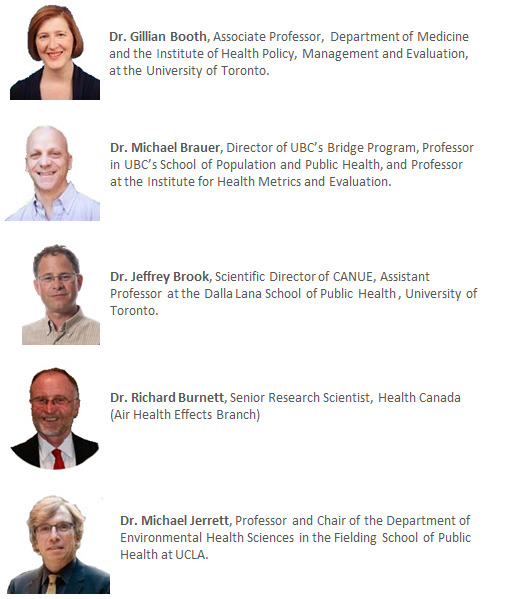 After a brief introduction to the Canadian Urban Environmental Health Research Consortium by Scientific Director Dr. Jeff Brook, we’ll hear three short talks that highlight current evidence, challenges, and emerging opportunities, followed by a Panel discussion including a question and answer session.